My name is Holly, and I'm an undergraduate member of Team Marmot! I've been at RMBL since mid-June and have seen a lot of pup emergences this season. Despite smaller populations of reproductively mature animals, we've had quite a bit of pup action. Down Valley alone had only 2 adult males and 6 adult females, yet they produced 30 pups. In one colony, there were 21 pups among 1 male and 4 females!! 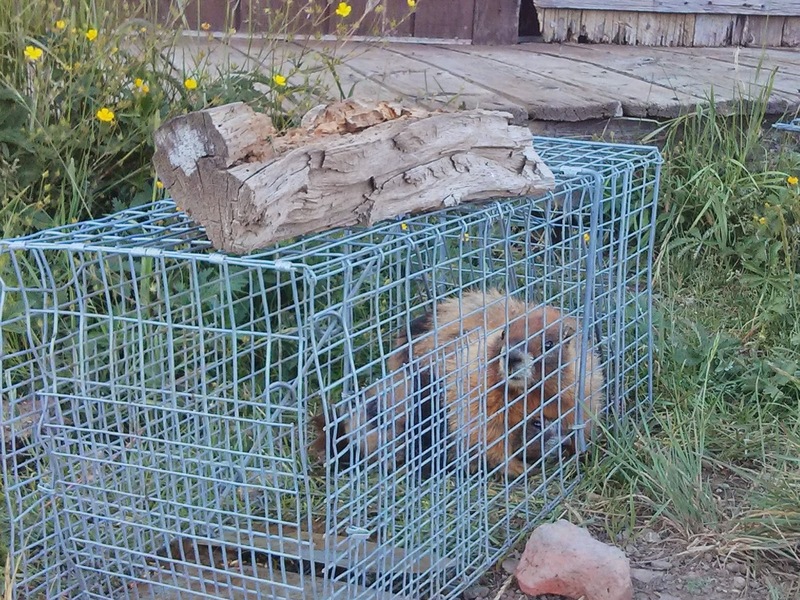 I've found it interesting how the different marmots behave in the traps. One female, forbidden sign, got trapped with 3 of her pups one time, despite truly disliking the handling process. We catch her almost every trapping session, but she always struggles when we are handling her. Separately, musical note was seen protecting her pup birthday cake when they got trapped together (see adorable picture below). I'm also fascinated by how similar some pups are to their mothers. Some have very similar faces, while others seem to inherit their mother's feistiness when trapped. Pup season was huge this year, but now that we've caught them all, all that's left is to watch them molt and remark them for hibernation!